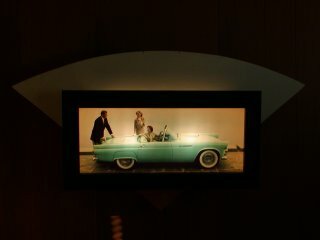 This is a back lighted display that was used in a dealer's showroom. Shown is a 1955 Thunderbird. Note the early body style, i.e. no skirt trim or stone guards. The color is the same as the 004 Thunderbird. This is a color photograpgh transparency that can be removed. I've been told that pictures of different models were available for insertion by the dealer. Here is some dealer showroom literature that I have accumulated over the years. These are the more rare pieces rather than the handout brochures that are commonly found. If you have any information about these pieces or have similar or mating examples, please let me know. Thank you! Here is a photo that was probably used to sell an after market continental kit for the Tbird. 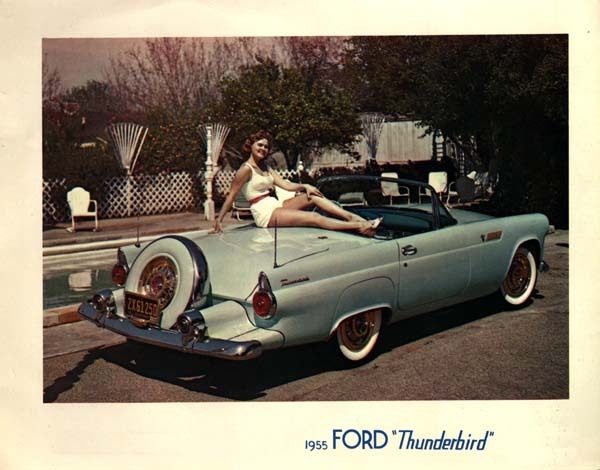 This is a promo announcement that followed the introduction of the Thunderbird at the February 20th Detroit Auto Show. In it dealers are urged to order this display with exact scale-model car reproductions. These were to be used as sales tools until the actual cars arrived. 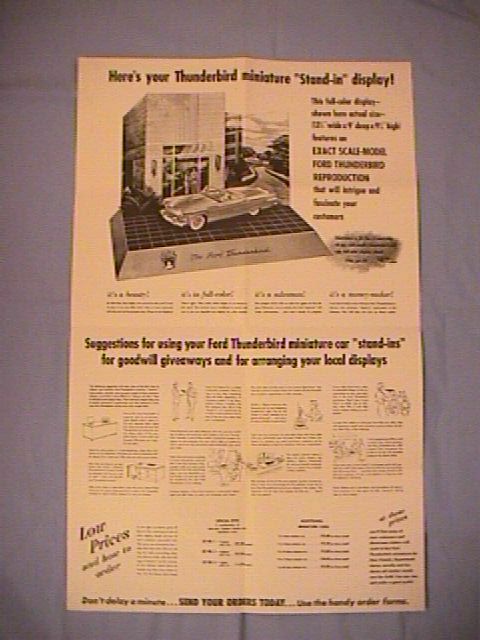 I don't have the display, just the 22"X34" mailer.